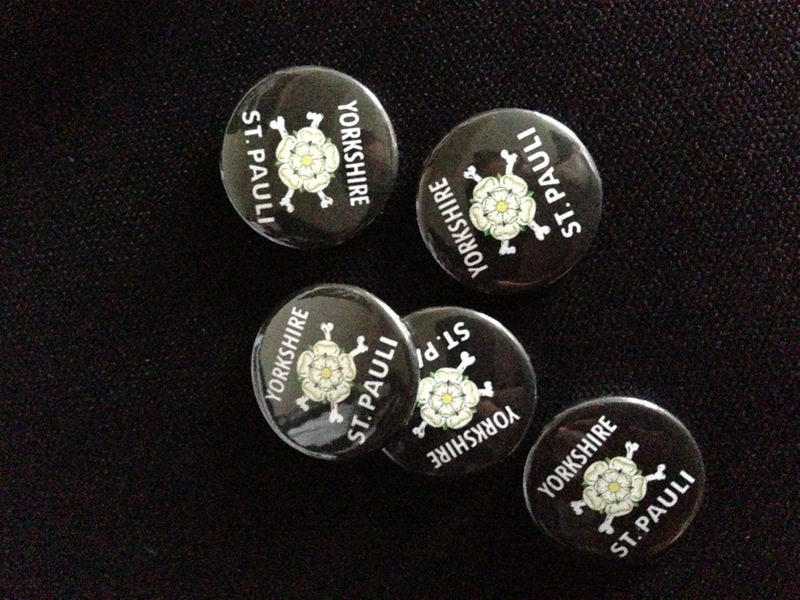 We have our Yorkshire St. Pauli badges back in stock! This includes a slightly altered design from the first badges, to make the ‘Yorkshire’ bigger on the image. Badges are £1 each, or 3 for £2.50, or 8 for £5. Our badges can be bought during our meetings at Wharf Chambers in Leeds. In addition, you can buy these via paypal, as long as the you include the cost of the postage (£1 if you’re in the UK, £2 if you’re outside of the UK). Note – please ensure that you also pay this as a “gift” so that we do not incur fees for the payment. Send us your payment via paypal to our email, which is ysp@live.co.uk.